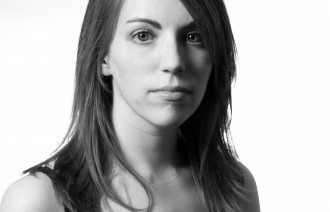 Kathleen Doherty is a dancer, choreographer, improviser, and teacher based in Halifax, NS. She attended Decidedly Jazz Danceworks’ Professional Training Program in Calgary from 2009-2011. Upon returning to Halifax in 2012 Kathleen co-founded the non for profit dance company, Votive Dance and has worked as Artistic Director since inception. Her choreography has been presented in/by: Kinetic Studio, Votive Dance, Soulocentric Festival (Calgary), Perspective (Connection Dance Works), CrossCurrents Dance (Calgary) and No Parachute Theatre (Toronto). Kathleen has performed both independently and with Halifax based companies: Mocean Dance, SiNS Dance, Votive Dance, and 1313 Music Association. Kathleen is Administrative Director for Halifax dance presenter, Kinetic Studio, and recently finished her second apprenticeship with Mocean Dance for the 2014/15 season. Kathleen is thrilled to be in Edmonton performing in Dancefest @ Nextfest with Votive Dance.